The Phantom of Thomas Hardy, Floyd's 5th novel, was published by the University of Wisconsin Press in Fall 2016. A literary romp through Dorsetshire and Hardy’s tangled love life. On a street in Dorchester, England, there is a gateway between real and imagined lives. A plaque on a Barclays Bank identifies the building as “lived in by the Mayor of Casterbridge in Thomas Hardy’s story of that name written in 1885.” Floyd, an American writer, and his wife, Beverly, are pondering the enigma of a fictional character living in a factual building when Floyd is approached by Hardy himself—despite his death in 1928. This phantom—or is he just a figment of Floyd’s oddly damaged brain?—tasks Floyd with finding out what Hardy missed in love. Floyd and Beverly set out to discover what they can, visiting Hardy’s birthplace, home, and grave, exploring the Dorset landscape and the famous novels with their themes of tormented love, and meeting characters deeply invested in Hardy’s life and reputation. Peering into the Victorian past, they slowly fold back the clutter of screens that Hardy placed around his private life to uncover long-hidden truths about his romantic attachments and creative work. At the same time, Floyd and Beverly’s own love story unfolds, filled with healing and hope. 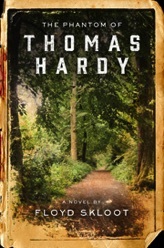 Click here to read The National Book Review Q&A about The Phantom of Thomas Hardy. 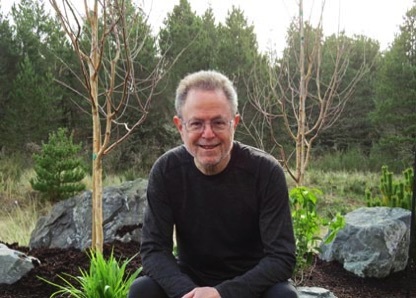 Click here to read the Literary Ashland interview about The Phantom of Thomas Hardy.